Or view larger version. California Indian Camp. ca. 1870s. Albert Bierstadt. Oil paint on canvas. Collection of Oakland Museum of California. 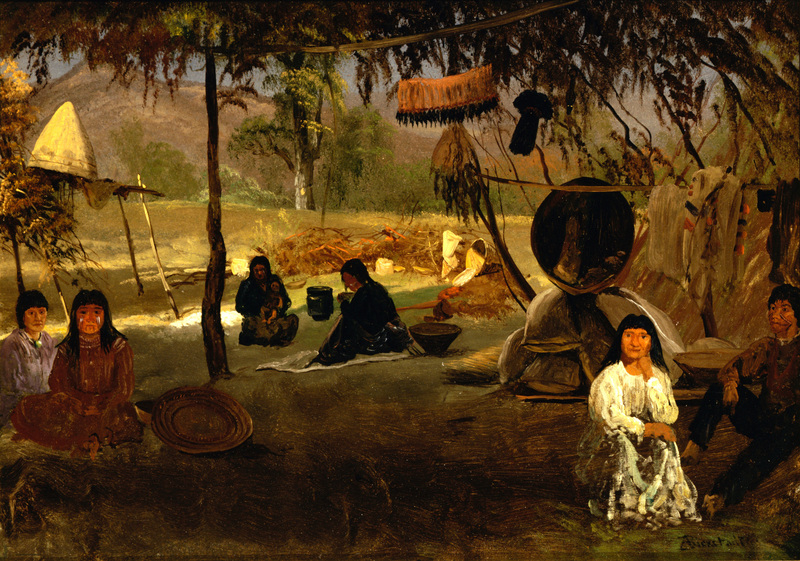 This painting is of an encampment of Central California Indians by Albert Bierstadt. Bierstadt was a German-American painter best known for his landscape paintings of the American West. Bierstadt was part of the Hudson River School, which was the first school of American Art. Dating from the 1820s, it was a loosely organized group of painters who took as their subject the nature of the American continent.